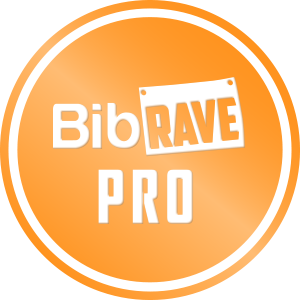 So I am going my second BibRave race, the South Shore Half and 5k. I am doing 5k, mainly because the race is the week before my goal race and I didn’t want to kill my legs. I plan on running this for fun, just go out and enjoy the awesome fall scenery and enjoy the run. I haven’t done too many races just for fun this year, and I think this one will be a great one to do for fun. I was super excited to try these strips out, as most of you know, I get up at 4:30 am to run and now the fall is starting to come around, my morning runs start in the dark. So I need to be reflective, I can’t just wear bright colors and hope drivers see me. I will say, I am lucky to live where I live, as most of my route is pretty well lit, but not all of it, and I feel much better knowing that all cars can see me when I light up with my strips. I did only use the stick on, not the iron on. I will use the iron on ones on my winter running clothes as those really need to reflective all the time. I will say the clothes I put the stick on strips on, I have washed, and the strips stay and are still super reflective, so that is great. The stick ons are super easy to apply and stay put, I put some shorts and shirts and had no issues with either.